As Youth 2019 approaches, you and your group are starting to think of ways to make this national gathering of Christ-loving students, adults, and volunteers the best experience possible. Some questions you may be asking: What workshops look cool? Who will be there? Who will I room with? Is the food good? But have you asked… how can I be involved in it? The Mass Choir is a highlight for many individuals that come to the conference! Think about it, almost 200 voices coming together to worship God. The product of three one-hour rehearsals is simply awesome. SPOILER ALERT: This year’s choir’s role in the event will be different (in a good way) from years past! DOUBLE SPOILER ALERT: You will get to sing with an incredible band to incredible music by one of today’s greatest artists! This year, the choir will be performing throughout the communion service of Youth 2019. Along with the House Band, Army of Light, they will lead worship as everyone joins together to celebrate the time we had and take part in the Bread and Cup. This is your opportunity to be involved and play a role in worship at Youth 2019! What an awesome experience it would be to assist in one of the most impactful, sincere services of the event! But we can’t talk about the Mass Choir unless we mention how awesome they were in 2015. At Youth 2015, the Choir performed two fun, beautiful pieces on the last day of the event. You could see the excitement on the faces of everyone on stage as they got to show their hard-work to all the participants and to give glory to God! From learning sign language to feeling a groove, a lot of work was put into those pieces. If you asked anyone what they thought, they would say it was worth it! The joy that the choir brings to the event is so amazing, it inspires more and more people to be a part of the group. You will meet awesome people from across the nation. You will get to work with an award-winning band. You will get to make music to glorify God. You don’t have to be able to read music. The practices will be fun! As the event approaches and you begin making plans and asking questions on what Youth 2019 has to offer, consider singing with the Mass Choir for Youth 2019! It is a wonderful opportunity to take part and lead in worship, make new friends, and sing some exciting, worshipful music. Meet Our Choir Director, Bailey Hueser! Bailey is an experienced Music Director from Knoxville, TN. He studied music for several years at the University of Tennessee, Knoxville, where he graduated this past May with a degree in Business Management. 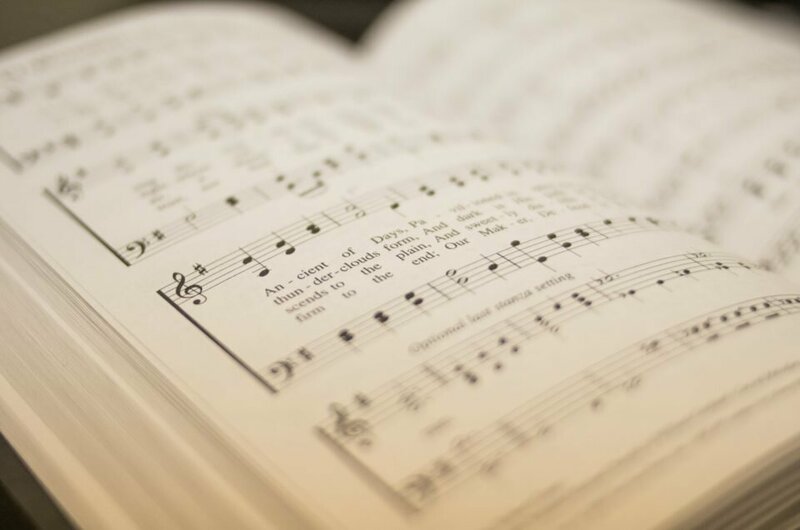 He currently serves as the Director of Music Ministries at Bookwalter UMC in the Holston Conference and has conducted mass choirs and full orchestras there for three years. Bailey joins us as the Choir Director of the Mass Choir for Youth 2019 and is very excited for the opportunity to share his love for music and passion for ministry through it. His philosophy is to “share God’s song of love.” What a better way to do that, than to LOVE WELL!